Pakistan batsman Babar Azam is often considered among the top batsmen that rule the cricketing world in current times. The 24-year-old put up significant performances in all the three formats for his country in the recent tour of South Africa even though Pakistan lost in all of them. 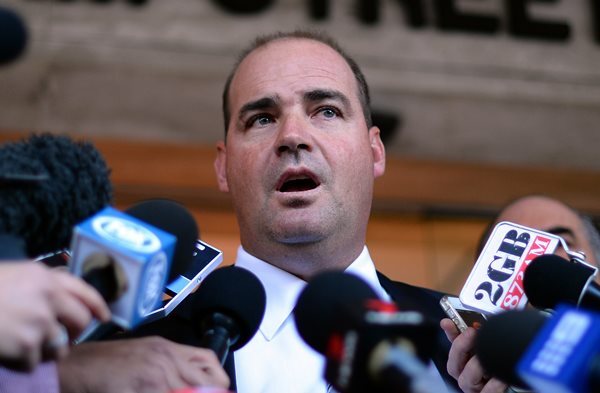 And now, Pakistan head coach Mickey Arthur has come up with some revelation about the batsman which will win him more admirers for sure. Azam, who made his international debut in 2015, has played 21 Tests, 59 ODIs and 29 T20Is so far, scoring nearly 5,000 runs with nine hundreds. In the ODIs and T20Is, Azam has an average of above 51 and 53, respectively, making him one of the prime members of the Pakistan batting line-up. He will be one the team will be banking heavily in the upcoming World Cup in England and Wales. Arthur recently revealed that the Lahore-born cricketer makes it a point to send all the money he earns from the game to his family which is immensely proud of him. Arthur recently corrected his own prediction made two years ago that Azam would be as good as India captain Virat Kohli and changed his stand on the talented batsman to say that he will be among the top five batsmen in the world in all the formats very soon. Coming back to Azam’s commitment towards his family, Arthur said his family is so proud of his feat that Azam’s father even bought him a brand new Honda car to replace the worn-out vehicle of the same brand he used to drive earlier. Arthur said Azam is so proud of his new possession and also compared his Honda with Australian hitter Chris Lynn’s Lamborghini saying the latter moves around in that car in Brisbane even though he has no chance of playing a Test match.